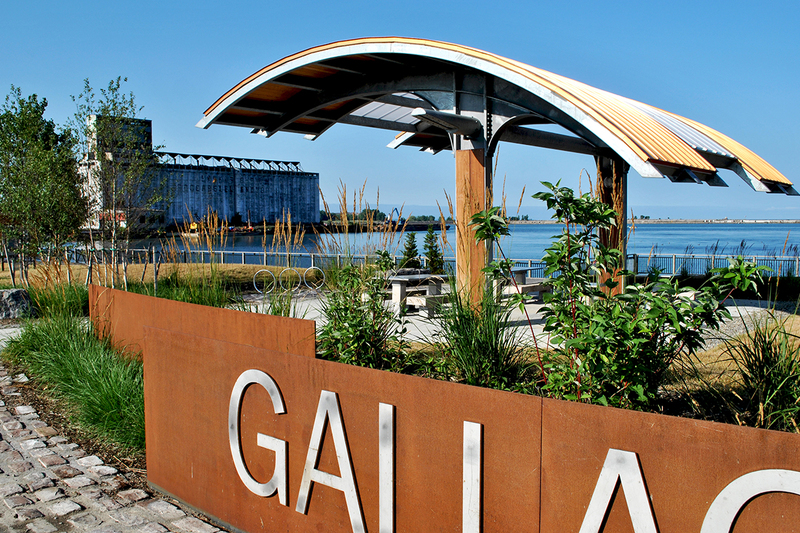 Improvements at Buffalo Outer Harbor’s Gallagher Pier were developed in concert with the Industrial Heritage Trail and welcome people to the waterfront with a comfortable landscape and shelter from the Outer Harbor’s notorious weather. 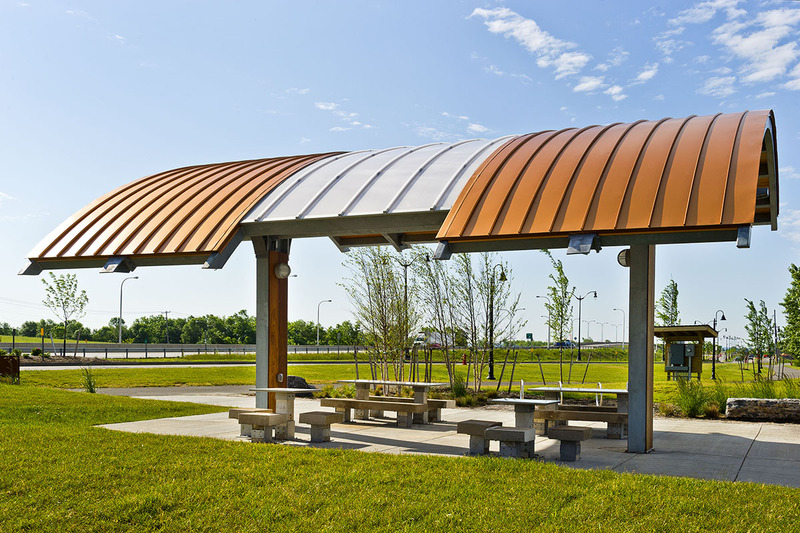 Developed as one in series of enhanced nodes, the universally accessible, multi-purpose gathering space was funded by a NYSDOT Transportation Enhancement Program grant to improve pedestrian and bicycle connectivity along the Lake Erie waterfront. 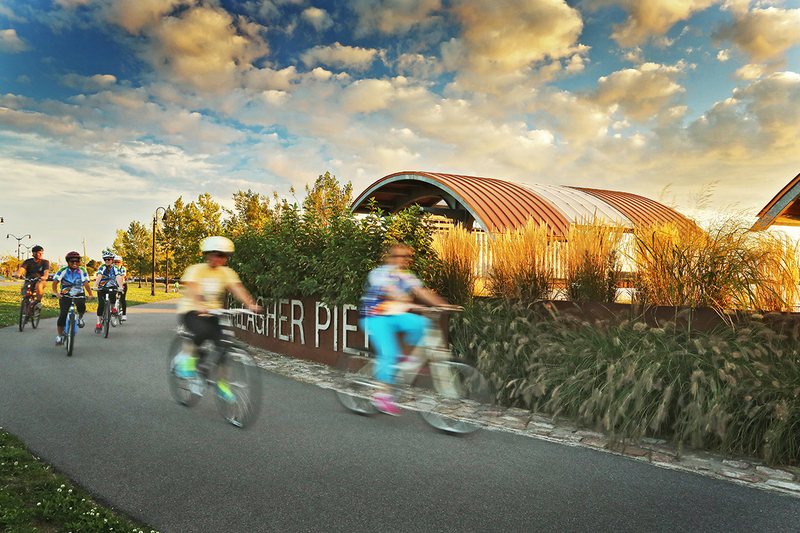 This node provides recreation facilities, sculpture, and interpretative signage and is designed to function as an ensemble and unify the waterfront and the Outer Harbor Parkway. 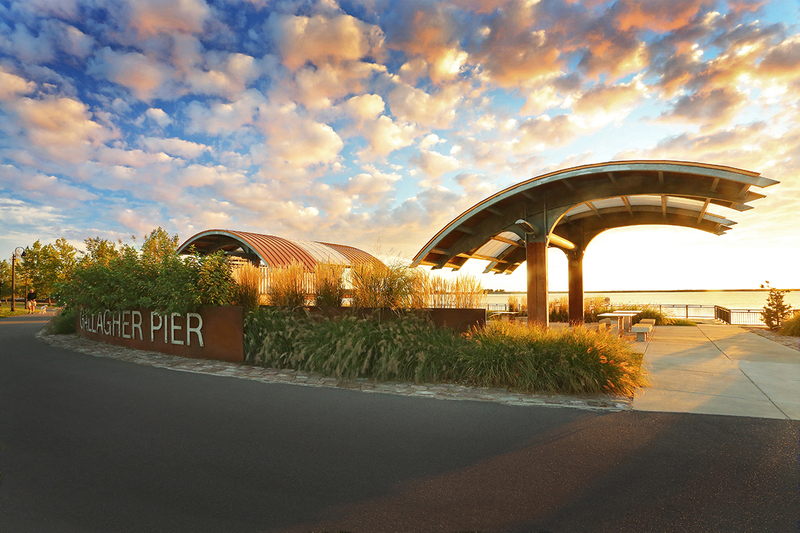 An array of features unifies Gallagher Pier and the adjacent trail. Site furnishings, including picnic tables and chess tables, are constructed from recycled materials.Landscape improvements bracket new waterfront pavilions, offering a sense of destination and respite from the weather. The pair of pavilions is a visually significant place marker along the Outer Harbor Parkway. The space provides opportunities for visitors to have lunch by the water or simply enjoy the view.